Gerald Gill taught history at Tufts University for 27 years before his death 10 years ago at the age of 59. Professor Gill was the author of “Another Light on the Hill,” which documented the history of African Americans at Tufts. The Black women who have announced their retirements are Sandra J. DeLoatch of Norfolk State University in Virginia, Iris Rosa of Indiana University, Jean Hampton of Texas Southern University, and Branwen Smith-King of Tufts University in Massachusetts. Students at the Ross University School of Medicine study in Dominica in the West Indies and then complete their training at an affiliated teaching hospital in the United States. Ross University is a division of the DeVry Education Group. Jenny L. Jones was named dean of the School of Social Work at Clark Atlanta University. Karen Richardson was named dean of undergraduate admissions and enrollment management at Tufts University and Osaro E. Airen is the new dean of student retention at Cedar Valley College in Lancaster, Texas. Bernard W. Harleston was hired as an assistant professor of psychology at Tufts University in 1965. He later held an endowed chair in psychology and served as dean of the Faculty of Arts and Sciences at the university. In 1981, Dr. Harleston was named president of City College of New York. A new study by researchers at the Massachusetts Institute of Technology, Tufts University, and Georgia State University, finds that tablet computers loaded with literary applications and issued to students in low-income areas can produce dramatic results without any instruction whatsoever. Recently, the nation’s highest-ranked colleges and universities informed applicants if they had been accepted for admission. Some of the nation’s most selective institutions provided acceptance data broken down by race and ethnic group. Since 2011, Dr. Williams has served as the Stephen B. Kay Family Professor of Public Health and chair of the department of epidemiology at the school. Earlier she taught at the University of Washington. Taking on new roles are Debra J. Barksdale at Virginia Commonwealth University, Michael A. Nutter at Columbia University, Theaster Gates at the University of Chicago, Chris Swan at Tufts University, and Engda Hagos at Colgate University. Dr. Nelson is a professor of African and African American art and architectural history at the university. 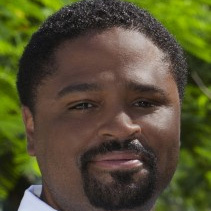 Professor Nelson is currently working on books about the Underground Railroad and the history of the city of Dakar. Carter was a middleweight boxer who spent 19 years in prison after being convicted of a triple murder in Paterson, New Jersey. The convictions were later overturned by a federal court. In 1991, Dr. Donald E. Wilson was named dean of medicine at the University of Maryland, the first African American dean of a predominantly White medical school. He was also was the first Black president of the Association of American Medical Colleges. Kingsley Chiedu Moghalu, former deputy governor of the Central Bank of Nigeria, will be joining the faculty of the Fletcher School of Law and Diplomacy at Tufts University as Professor of Practice in International Business and Public Policy. The cross-disciplinary program will become the academic home for the programs in Africana studies, Asian American studies, Latino studies and other related programs in the School of Arts and Sciences. This July, Joanne Berger-Sweeney, currently dean of the School of Arts and Sciences at Tufts University, will become the first woman and the first African American to serve as president of Trinity College in Hartford, Connecticut. Tufts accepted 21 students from 13 different African countries for admission into its Class of 2016. Six accepted students are from Ghana. He is currently senior associate dean of the College of Arts and Sciences at Cornell University. He recently served for 16 months in the Obama administration. Lonnie Norris, Azeez Aileru, and James Rosser win prestigious awards. The founding director of the new center at Tufts is Peniel E. Joseph, a professor of history at the university. Here is this week’s news of grants for programs of particular interest to African Americans in higher education. She is the first woman in the 150-year history of the agency to hold the position. About 60 students participated in a protest on the Tufts campus that produced some positive results. Dr. Barker, who has been serving as an assistant provost at the University of Miami, will assume his new position in mid-December.